Resources of the Leads. Posted by Watchtower. 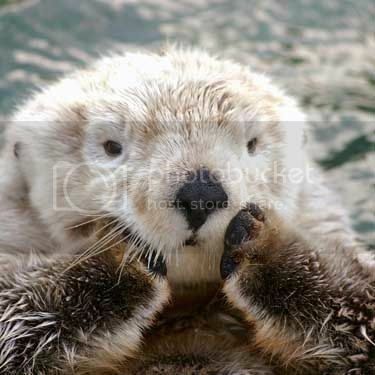 Otto the Sea Otter - Zoey's pet Sea Otter is very cute and is usually at Zoey's side when she can get away with it. He is observant, playful and can often be found swimming with Zoey. Otto seems to dislike Rory and often growls or snaps at him. Why he doesn't like him is any ones guess as he is calm as long as Zoey is around with most people. Types of Scenes: Beach Parties, Swimming Competitions, Mysterious, Crime, Boating, Romance, relaxing scenes of reflection. Specialties: Water, Crime, Mystery, Romantic, Resources. This message was last edited by the GM at 16:57, Mon 29 Oct 2012. Ezekial Eisenberg Father of Susan and a high powered lawyer. A powerful man with concern about his teenaged daughter. that shows whats wrong in America. Beach Hippie ! of the city looms above the Shores of the Miskatonic. Sometimes the waves from the river can be heard or felt in the ancient structure. The Eisenberg estate exists on a cliff overlooking the Shores of the Miskatonic. Types of Scenes: High power parties, Legal Discussions, Haunting Visitations, Susan and others enjoying the large mansion. Specialties: Resources, Spacious, Legal Books, Occult Books, Private, Secure. This message was last edited by the GM at 16:58, Mon 29 Oct 2012.
old world professor of anthropology. Miskatonic Library The massive and ancient library of Miskatonic University. library is the rare books section. Higher Education, School trips etc. Specialties: Stacks, Books, Protected, Secure, Contacts, Mystery, Rumors. This message was last edited by the GM at 00:49, Mon 29 Oct 2012. Arkham. His family has ties to many asylums including Danvers Sanitarium. Types of Scenes: Nightclub scenes, Dancing, Music, Hang out for the high school kids and some of the kids from Miskatonic. Specialties: Dark, Loud, Crowded, Cluttered, Socializing. Extras Typically on site: High School kids, younger crowd, employees. This message was last edited by the GM at 03:18, Mon 29 Oct 2012.